Animal Lovers & Friends of the Cozumel Humane Society (a 501c3 non-profit organization). We need your help. Our Goal ... 600 dogs and cats sterilized, in 3 days. To achieve this we need funding for materials as each and every animal we treat will be sterilized, de wormed and receive a wellness checkup. Many of the animals attended will be TNR'd (trap, neutered & released) from neighborhoods where the owners let them roam freely. Preventing unwanted litters avoids the heartbreaking reality of abandonment, cruelty, homelessness & disease. 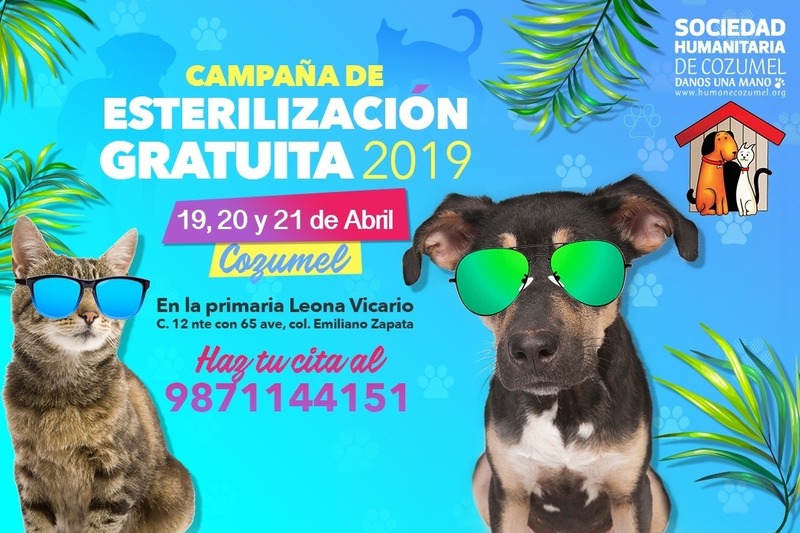 Our mission is to eradicate the overpopulation of dogs and cats in Cozumel through sterilization, education and adoption. Each $20 Usd donated helps one animal live a healthier happier life and is TAX DEDUCTIBLE in the USA. Please donate ! !